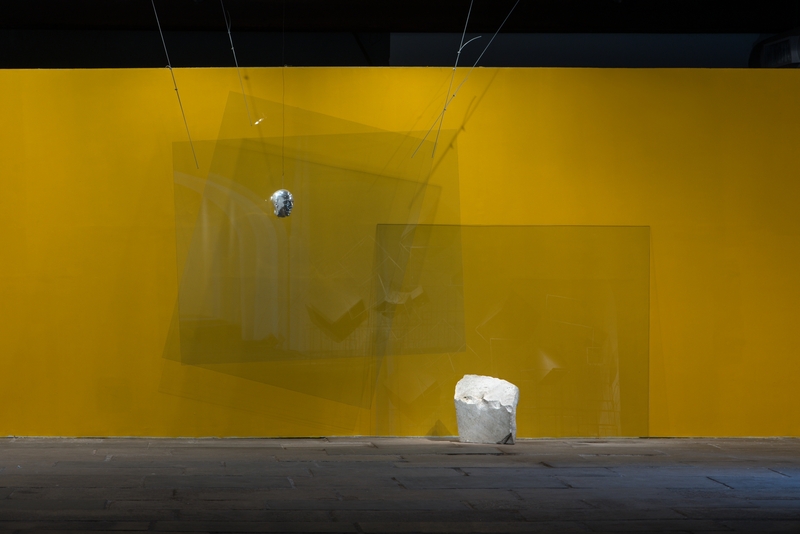 Cloud to half-height, 2015; glassine paper, glasses and lamp , variable dimensions. 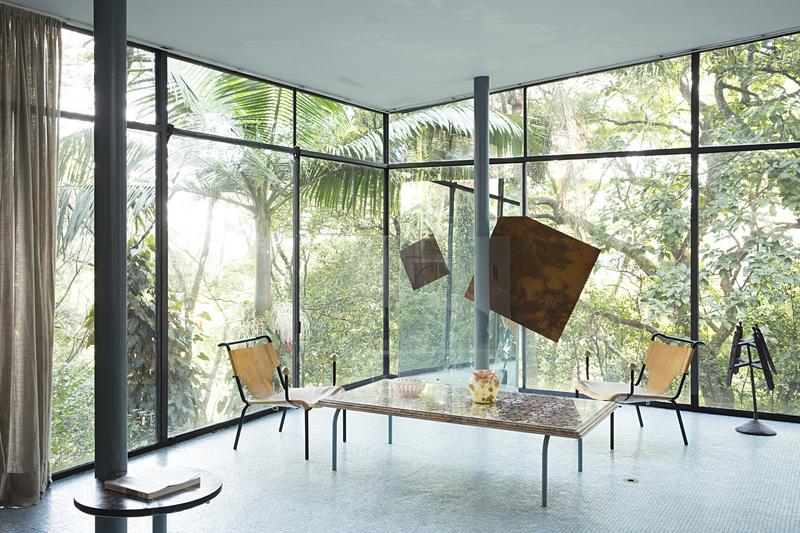 Parcial view from the exhibition ‘Jaguares’ at Paço Imperial, Rio de Janeiro. Photographic record: Mario Grisolli. Rabiscada, 2018; painted wood andglasses , variable dimensions. Parcial view from the exhibition ‘Brute Fluxe’ at Museum of Modern Art Rio de Janeiro (MAM/RJ). Curatorship Beate Reifenscheid, director of Ludwig Museum de Koblenz, Germany. Photographic record: Mario Grisolli. 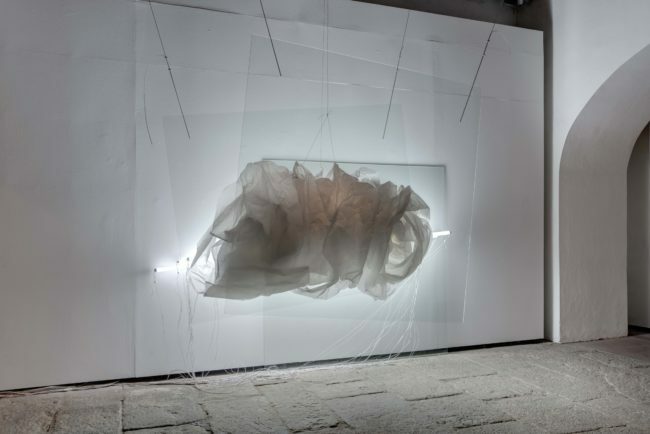 Angelas, 2018; glasses and marble, variable dimensions. Parcial view from the exhibition ‘Brute Fluxe’ at Museum of Modern Art Rio de Janeiro (MAM/RJ). Curatorship Beate Reifenscheid, director of Ludwig Museum de Koblenz, Germany. Photographic record: Mario Grisolli. 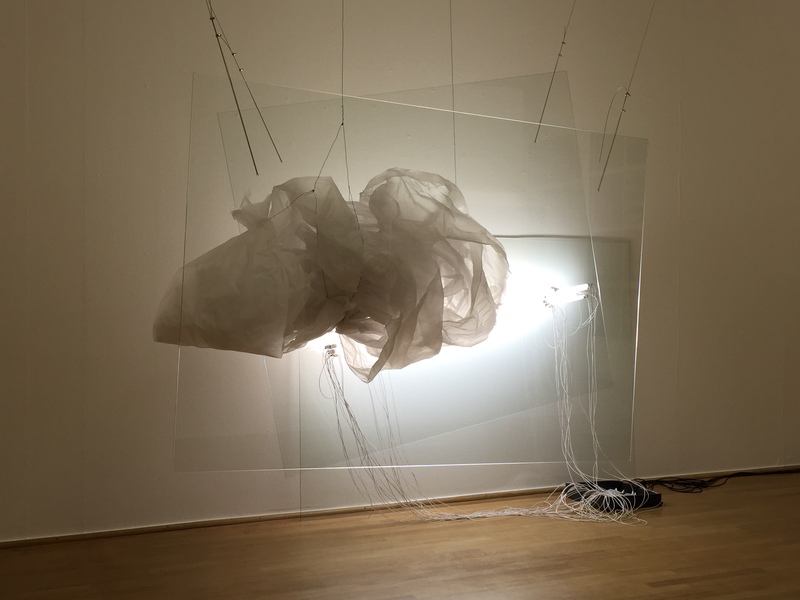 Nuvem para meia altura (Cloud to half-height), 2012-2015; Light bulbs, glass, glassine paper and steel cables; variable dimensions. Artist’s collection. Partial view of the exhibition “Squares and Patterns”, at Ludwig Museum, Koblenz – Germany, 2015. Photographic record: José Bechara. 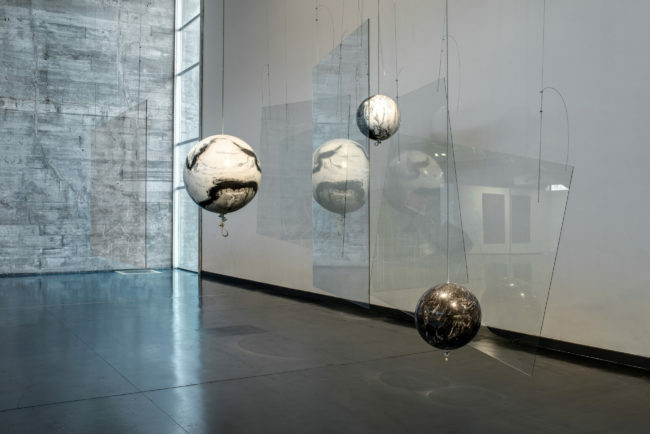 Fugitive I & Fugitive II, 2013; Wood, acrylic paint, glass and steel cables; variable dimensions. Artist’s collection. 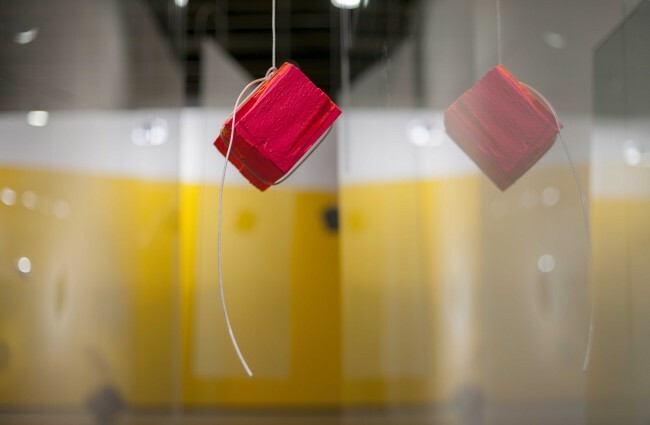 Partial view of the exhibition “Repertório para aproximação de suspensos” (Repertoire for approaching suspended works) at Instituto Tomie Ohtake, São Paulo – SP, Brazil, 2013. Photographic record: Rômulo Fialdini. 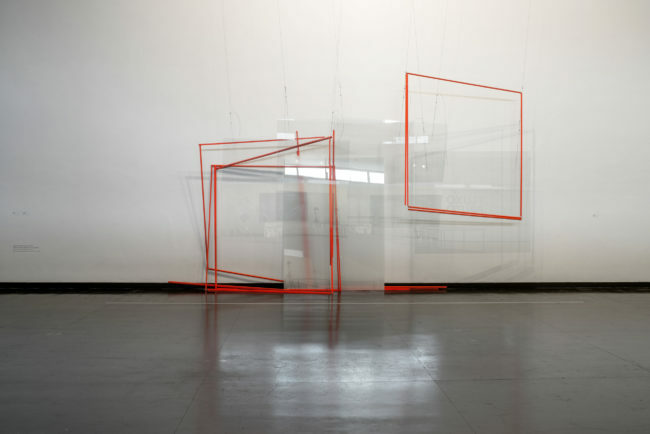 Fugitiva I, 2013 (detail); Wood, acrylic paint, glass and steel cables; variable dimensions. Artist’s collection. 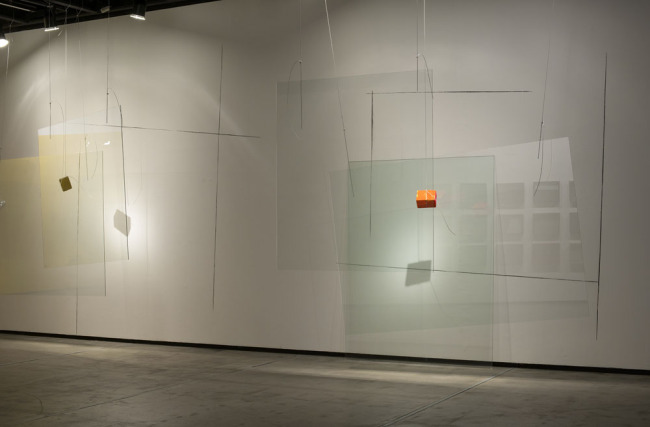 Partial view of the exhibition “Repertório para aproximação de suspensos” (Repertoire for approaching suspended works) at Instituto Tomie Ohtake, São Paulo – SP, Brazil, 2013. Photographic record: Rômulo Fialdini. Pink Gelosia, 2010 (from the Gelosia series). 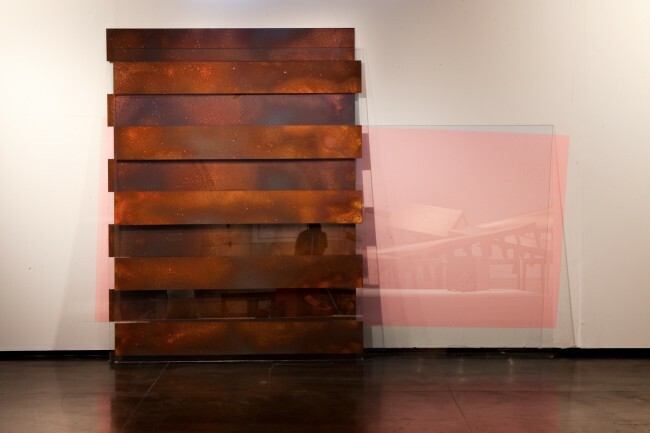 Carbon steel oxidation on glass and acrylic; variable dimensions. Artist’s collection. 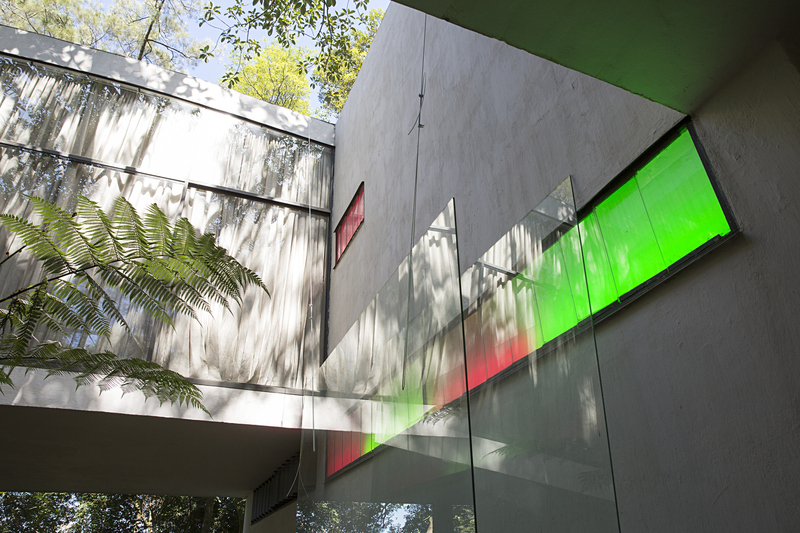 Partial view of the exhibition “José Bechara: FENDAS” at Museu de Arte Moderna do Rio de Janeiro (MAM/RJ), Brazil. Curator Luis Camillo Osório.